Two individuals in a relationship get into a petty argument that becomes a little louder and before they know it police have arrived investigating the incident. Other domestic violence situations escalate where one partner made threats, entered the home without permission, broke property, used a weapon to threaten or used physical violence. Officers are usually called by one party involved or a neighbor hears yelling and calls the police. Once officers arrive on scene, they will ask to speak with the individuals involved. If they find there is probable cause that any crime occurred between two intimate partners, they must arrest one of the parties. It is not up to the alleged victim to prosecute domestic violence, it is a mandatory arrest. Domestic violence is almost always charged with another crime. Domestic violence is a complicated issue because of the no-drop prosecution policy and the various degrees of domestic violence. There are women who are abused and battered and anyone charged with sexual abuse or physical abuse is facing hefty penalties that could include prison time. There are also married loving couples who have a petty argument and one party is arrested. The other spouse doesn't want any charges filed and they want the mandatory protection order dropped. Our attorneys have experience dealing with all sorts of domestic violence situations and know the laws and legal options for resolving your case with the least amount of personal and professional damage. There is such a wide range of crimes that fall under the “domestic violence” label so call our office to speak with a Denver domestic violence defense attorney and have your case evaluated at no charge. We will answer your initial questions and give you an idea of the direction your case is headed. Domestic violence is a serious charge with many ramifications that can affect individuals for their entire life. Individuals will have a restraining order placed on them, loose gun rights and if convicted will have a domestic violence conviction on their record forever. It is important to understand your rights before speaking with police. Our attorney's help lessen clients charges and frequently take domestic violence cases in front of a jury. According to Colorado law, Domestic violence is defined as an act or threatened act of violence upon an intimate partner. It can also include any crime against a person, or against property when used as a method of coercion, control, punishment, intimidation, or revenge. An intimate partner is defined as a relationship between spouses, former spouses, past or present unmarried couples, or persons who are both the parents of the same child. These are vague definitions that can include many individuals and circumstances. Colorado law states if police find probable cause that a crime or offense involving domestic violence occurred, they SHALL arrest the person suspected of its commission. In the 1970's domestic violence was not something that was taken seriously by police. In 1984, the Federal District Court in Connecticut ruled that police did not protect a woman from being brutally attacked by her husband. A huge multimillion dollar settlement was awarded to the victim. President Reagan also passed legislation giving money to states who enforced harsher penalties for domestic violence. The women's rights movement was also growing momentum at this time. The states, including Colorado, wanting the federal grant dollars and wanting to avoid lawsuits, passed legislation controlling how police handle domestic violence situations. Twenty states do not have a mandatory arrest policy, where they officers use their discretion to resolve calls. Click here to read an interesting NY Times article on Domestic Violence. Officers are trained to err on the side of caution and to protect the alleged victims. This leads to believing the accuser which can result in the arrest of an innocent individual. Officers may choose to arrest the intoxicated individual, even when he or she is the victim. Officers also arrest people for minor things that do not warrant an arrest. Couples get into arguments, but that does not mean we should arrest one of the parties every time an argument occurs. You have rights and no type of case is this more important than domestic violence. Our attorneys will protect your constitutional rights and investigate the case to see what the best defense will be. Call our Denver domestic violence attorneys for a free consultation where we will evaluate the specific facts about your case. When an individual is arrested for domestic violence, he or she will have a temporary restraining order placed on them by the courts. This prevents any contact between the parties, even when they are husband and wife and the order creates hardships for children. This is a serious order, and anyone found violating the protection order loses plea bargaining leverage and faces a new charge as well called violation of a protection order which carries a one year jail sentence. We help our clients who wish to have this order modified. When the courts find a factual basis for domestic violence, no one is allowed to plead guilty to an offense not carrying the domestic violence label. Anyone convicted of a domestic violence offense must enroll in domestic violence classes. We help our clients find a treatment provider and enroll for the classes. When an argument breaks out, no matter how minor, and a child is present, the individual deemed by police to start the argument will be charged with child abuse. This means the child was endangered or put in an at-risk situation, not that the child was physically harmed. A follow up by social services is possible who will determine if there are any problems with the child at home. Domestic violence allegations can affect custody issues and it is important to have a Denver domestic violence attorney advocating on your behalf. We have two Denver domestic violence lawyers who exclusively handle criminal law. Steven Louth and his son, Zach Louth have seen all types of domestic violence cases. 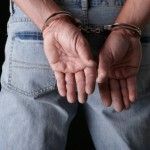 Police get things wrong and make incorrect decisions, often arresting the incorrect party or finding probable cause when an offense was not committed. Steven began his career serving as the deputy district attorney for eight years before starting his private practice. He has over 25 years experience practicing criminal law. He is a trial lawyer and whenever a case is strong, he will take it in front of a jury. Mr. Louth conducts a handful of domestic violence trials every year and potential clients are always welcome to watch Mr. Louth in trial. Zach has successfully appealed a case to the Colorado Court of Appeals. He knows the Colorado laws and the elements that must be established to prove a crime. Zach has handled numerous protection order hearings and has helped his clients avoid having a permanent protection order. He has been working alongside his father for over four years in various capacities. If you or a loved one is facing an investigation or an arrest for domestic violence charges it is important to resolve the case with the least amount of damages. Sometimes this involves pushing for a favorable plea deal or an outright dismissal, and other times taking the case to trial. We have handled numerous domestic violence cases that are weak, yet the prosecution will not dismiss the charges. We take these cases on the trial track pushing for the prosecution to dismiss the case. Call us for a free consultation with our Denver criminal defense attorneys at 303-442-2297.